Dominic Couzens is one of Britain's best known and most prolific natural history writers. 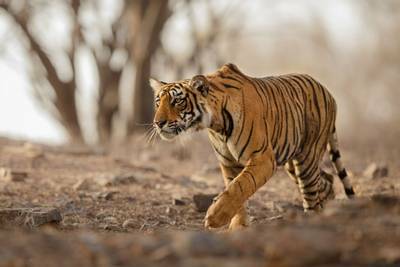 The final episode of Dynasties, the remarkable TV series narrated by Sir David Attenborough, showed us that Tigers are very different creatures to the Lions of the plains. The Lion strikes fear in plain sight; go into Tiger country and the fear is creeping, lurking, hidden behind dense vegetation, yet all pervasive. You could almost feel the restless dread in the close-up snorts of the Chital deer, the Tiger’s most frequent meal. 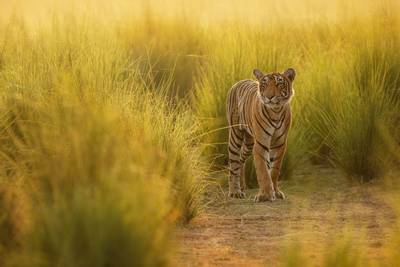 Tigers are also solitary, rather than living in groups or “prides.” We followed the fortunes of the Tigress Raj Bhera, a powerful individual that occupied one of the richest parts of Bandhavgarh Tiger Reserve, in the heart of India. The story begins as she gives birth to four cubs, which will be dependent on her efforts for the next eighteen months or so. There is plenty of food around – we watch her stalk deer, Wild Boar, Langur (monkeys) and even a distracted, strutting Peacock. But again, the perils lurk, rather than being obvious. Her territory is hemmed in by territories of rival females, including that of her daughter Solo – it is quite usual for daughters to be adjacent to mothers. When times are hard, Raj Bhera is forced to wander way outside her territory, and ends up in great danger, surrounded by angry, fearful humans, in the end being tranquilised and rescued by the Parks Department. This is the fate of Tigers today, in India at least. All the National Parks are too small for their Tigers, and most abut large areas of dense human settlement. Across a broad swathe of Asia, about 4000 wild individuals remain, where once there were perhaps 100,000. The programme told a subliminal story about just how hard it is to find Tigers, to know Tigers and to understand Tigers. In contrast to the other characters in this series, the Tiger remained inscrutable. Yes, we witnessed adorable scenes in which the cubs played together, bathed together and mock-hunted together; and we even saw an encounter between a daughter and her father. But we never really got inside the Tiger’s mind. The reason is clear. Tigers are very difficult to film and spend much of their day hidden inside thickets, camouflaged by those flagship stripes. They are also mainly active in the twilight and in darkness. The most shocking revelations concerning the Tigers featured in this documentary were not witnessed on film at all. Raj Bhera’s daughter, the smallest cub at the bottom of the family pecking order, simply left the territory never to be seen again, her fate unknown. After filming, the three brothers, now fully grown, also disappeared, the implication being that they had all died. Raj Bhera herself was killed a year after filming ended, during a fight with an unknown individual. The dynasty died after Dynasties ended. So, when you enter Tiger country, there is always a frisson of tension that you will not encounter the big cat at all. It is big and fearsome, but thrillingly missable. Few safaris miss Lions in Africa; but in India a significant proportion of tourists, particularly those with little time, miss Tigers altogether. Here at Naturetrek, we have run specialist tours to see Tigers for 28 years, using the finest local guides, all of whom are expert trackers and know the Tiger’s habitat inside out. 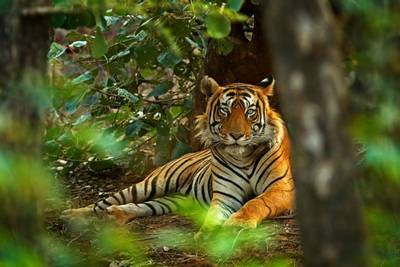 Indeed, on two of our tours you can look for them in the very location featured in the programme, Bandhavgarh, and we are proud to uphold a 100% success rate on these tours due to the sheer expertise of our guides. 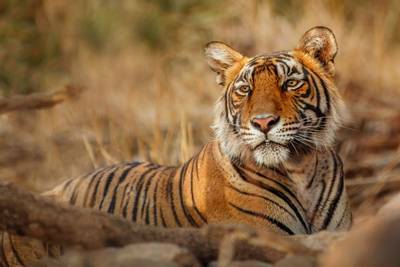 Due to the limited number of permits available for popular Tiger reserves, early booking on Tiger tours is essential. For this reason prices on imminent departures are higher, and savings can be made on the prices below by booking well in advance.